I just got back from the American School Counselor Association Conference on Tuesday evening. I had an amazing time connecting and sharing with other school counselors from all over the world! It was so much fun and I was absolutely exhausted when I got back. There is so much I want to tell you about my time at ASCA so I will be sharing everything in multiple posts! One of my most favorite things about the 2012 ASCA conference was hosting two School Counselor Tweet Ups with Dr. Erin Mason, a Counselor Educator at DePaul in Chicago, IL, and creator of School Counselors' Online Professional Exchange (SCOPE). Dr. Mason and I hosted the School Counselor Tweet Ups as a way for school counselors and educators who follow and participate in School Counselor Tweet Chats (#scchat) to meet up live! Both Tweet Ups were well attended and a huge success! It was so surreal to meet school counselors I interact with all the time on Twitter in person! It was pretty funny hearing people refer to each other as their Twitter handles instead of their real names. It was great to finally put faces with a names! Our first #scchat Tweet Up was at the dance social on Saturday night. ASCA reserved a table for us at the dance social! I made name tags for everyone who was able to RSVP. I created QR codes for each person's name tag so that their Twitter profile would come up whenever it was scanned. If that isn't the work of a tech savvy school counselor, I don't know what is! 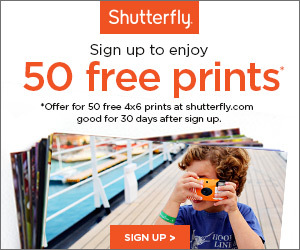 You can try it out by scanning mine. and Dr. Erin Mason (@ecmmason) author of School Counselors' Online Professional Exchange. 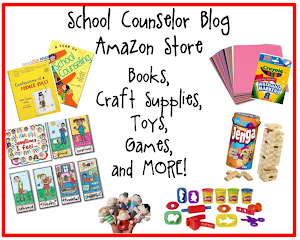 Tabitha Panariso (@tpanariso), author of Scrapbook of a School Counselor. 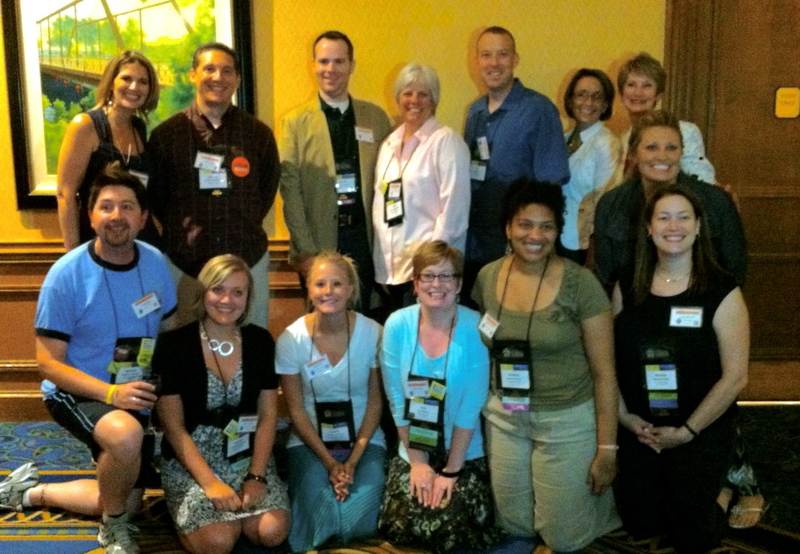 We took a group picture of #scchat tweeps at the first #ASCA12 #scchat Tweet Up! Darrell Sampson author of the blog From the Counselor's Office was named MVT - Most Valuable Tweeter for tweeting the most using the hashtag #scchat. We had over 9 states represented at our #scchat! 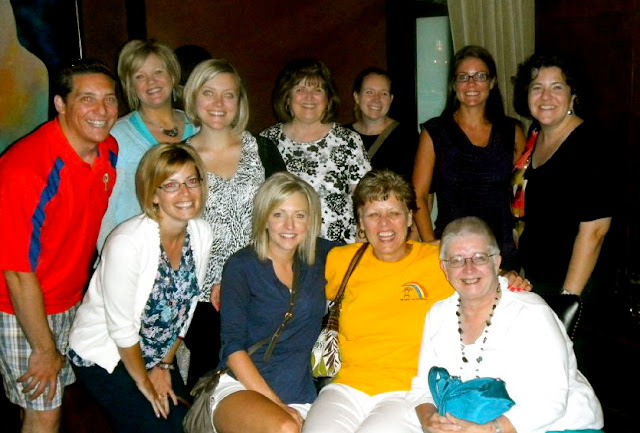 Our second #scchat tweet up was held on Monday at the Skywater Retaurant in the Hilton. Over 18 people showed up! We had a great variety of people! Some school counselors made their first ever tweets at our #scchat tweet up! We chatted about our favorite technology resources and created a document where we could continue to share ideas even after the Tweet Up was over. After the Tweet Up I hung out with school counselors from Hawaii, Iowa, Kansas and Maryland! We went to dinner at an awesome restaurant, Zelo. The conversation and food were excellent! At Zelo with school counselors from Hawaii, Iowa, Kansas and Maryland! I can't wait to share more about the American School Counseling Association National Conference with you! I just stumbled upon twitter last week. I am really grateful that you tech savvy counselors are here. Thank you for writing about the conference. I want to attend next year. 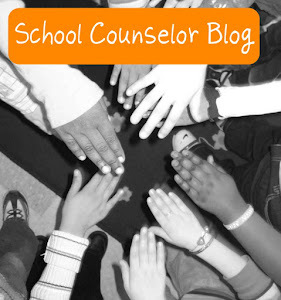 I am so glad I've come across your blog and Twitter feed in my first semester of school counseling. You've taught me a lot! 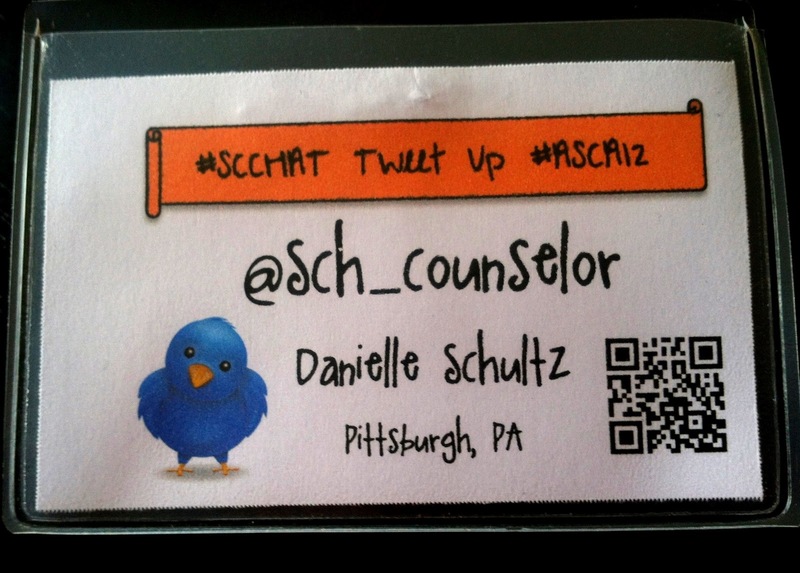 Maybe I can meet all the #scchat tweeters at #asca13! I haven't figured out twitter yet. Maybe you can give me some pointers at LDA. Can't wait to hear more about your experience! That's awesome, Karibean! The food there was great! I think I need to write a more detailed post about using Twitter. I HIGHLY recommend that you sign up! It is great and there are sooo many school counselors on Twitter! You are very welcome, Selena! Twitter is a great professional resource for school counselors! 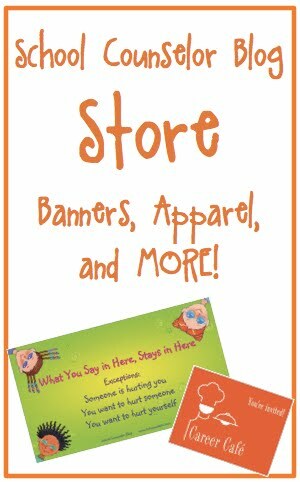 I hope to see you at #asca13 next year! So glad you found me Miss Rebecca! 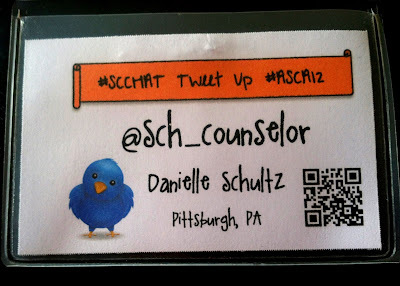 We are planning to make School Counselor Tweet Ups a yearly thing at the ASCA conferences! 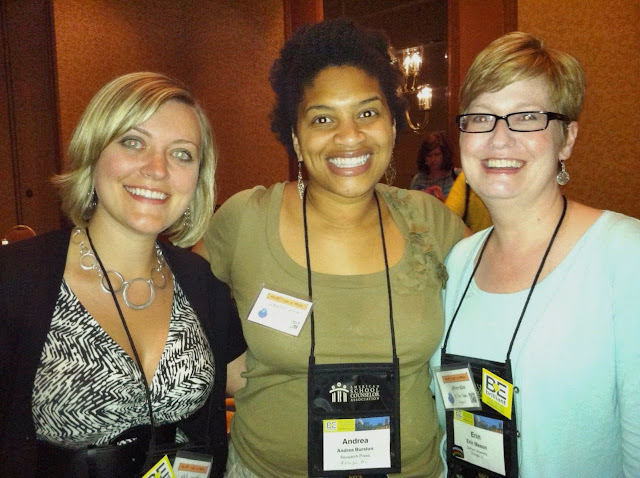 Can't wait to see you next year in Philly at #ASCA13!